Let us show you why Veraview has been the trusted name in multimedia solutions for over fifteen years. At Veraview, our team is made up of multimedia professionals that specialize in the design, installation & support of various audio and video communication technologies. 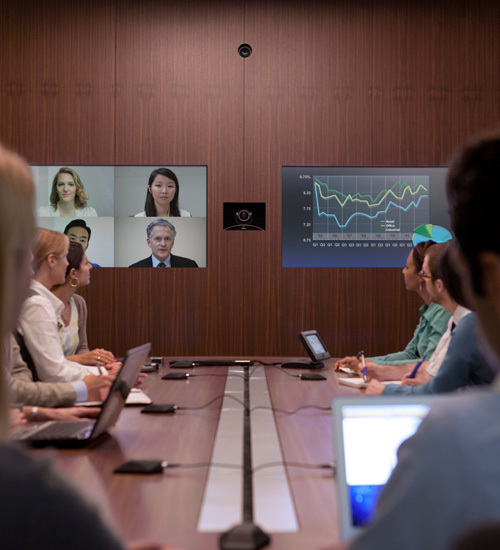 We offer a wide array of turn-key solutions, including videoconferencing, media presentation, digital signage, interactive classrooms, and distance learning. Our engineers, sales professionals, and support team are leaders in implementing solutions that will revolutionize the way you communicate. In addition, our sales office & demonstration facility is fully equipped with in-house solutions available for demonstration or customer rental. Whether you are a Fortune 500 corporation who wants to communicate better with colleagues around the world, a teacher who wants to reach students in a more effective manner, a doctor whose diagnosis is needed in a location beyond immediate reach, or a small business that wants to market to a larger audience, Veraview has the multimedia solution that will best meet your needs.